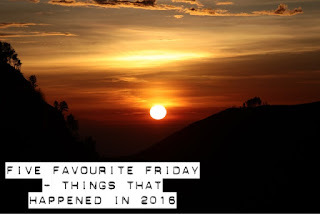 This week for our Five Favourite Friday post we've decided that we will look back at the last year and recount our favourite things that happened during 2016. I've not really started to debate my favourite moments from the year just yet, but I can tell there will be quite a few family related memories! 1) Going to Carding Mill Valley in August - Carding Mill Valley holds a special place in my heart as it's somewhere I used to go with my childminder during school summer holidays to pass the time, and I'll never forget taking our son there for the first time in August. We thought he may enjoy standing in the stream that runs through the middle of the valley, but to our surprise he was fairly proficient at walking his way along the stony bed. The reason for our surprise was because a month earlier he took his unaided first steps. 2) Visiting the Birmingham Sealife Centre - In March we took a trip to Birmingham to visit the Sealife Centre as a Mothers Day treat and we had a great time. It was the first time we'd taken our son to an aquarium and he loved it. There was also a memorable moment when our son wanted to try some of my ginger beer, as soon as he tasted it, he opened his mouth and the liquid came pouring out, such a funny memory. 3) Change in job role - In May, my job role at work changed and I think it's suited me more, which has been beneficial for my employer, myself and also my partner as I was a more content with life. 4) Starting my blog - Having spent a number of months maybe even years wanting an online presence, my partner helped me set up my blog in September. I've really enjoyed doing my posts and proud that I managed to complete #Blogmas2016, I wasn't confident that I'd do it at the start but I came through. 5) Watching an Formula One test session at Silverstone - A week after the Great British Grand Prix, there was a test session that I attended with my dad to try out my photographic abilities. It was nice to get away from reality and not have anything more to worry about than whether the cars were in the shot / focus or not! 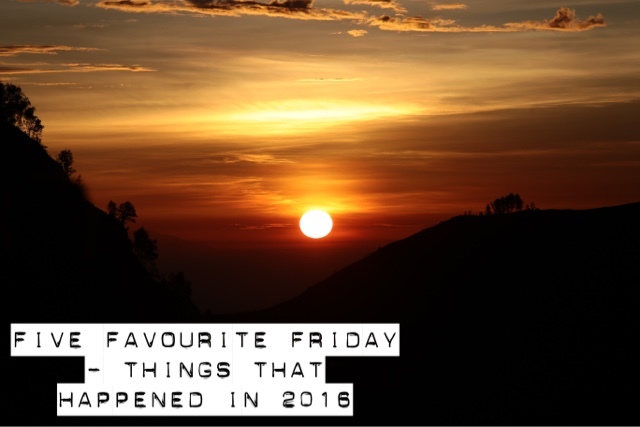 I think these were my favourite moments of 2016, I might have included the trip to see Shrewsbury Town play at Sunderland, going to Santa at Attingham Park or the train journey up to Newcastle upon Tyne across the Pennines. I hope you have reason to look back fondly on 2016, here's to 2017.